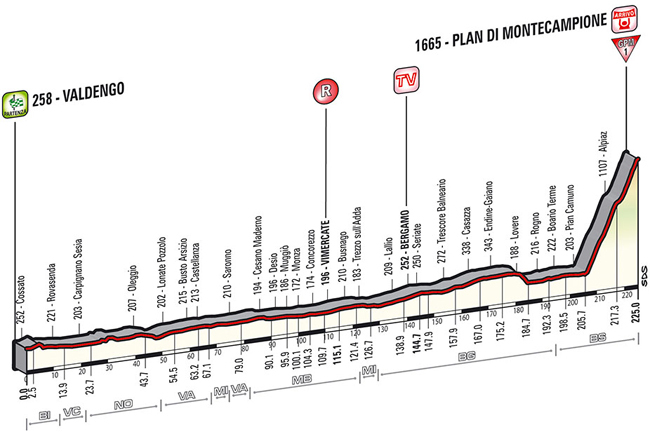 The Race: Another stage dedicated to Marco Pantani, and in particular to his stage 19 victory over Pavel Tonkov at Montecampione in 1998. That year Pantani went on to win the Tour de France, as well. About 15 km into the race about twelve riders broke loose. With 20 km to go and about the start of the Montecampione ascent, the escape's gap was just 2min 19sec and falling fast. Adam Hansen (joined soon thereafter by Fernanado André Cardoso) jumped away from the break, seeking a stage win and from the maglia rosa group KOM Julian Arredondo and Enrico Zardini attacked. Under the 10 km banner the gap from the leaders (Cardoso, Arredondo) to the maglia rosa group was 26 seconds. Sky rider Phillip Deignan blew by the two leaders. And then the maglia rosa group, led by Michael Rogers, caught all breakaways except Deignan (who was in the big ring!). 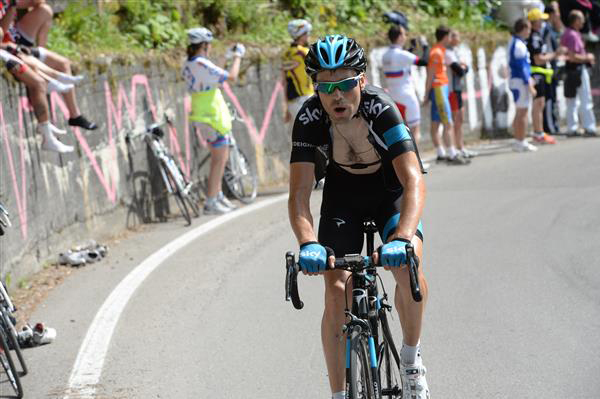 Under the 5 km banner Deignan had 22 seconds on a really reduced maglia rosa group. Bam! 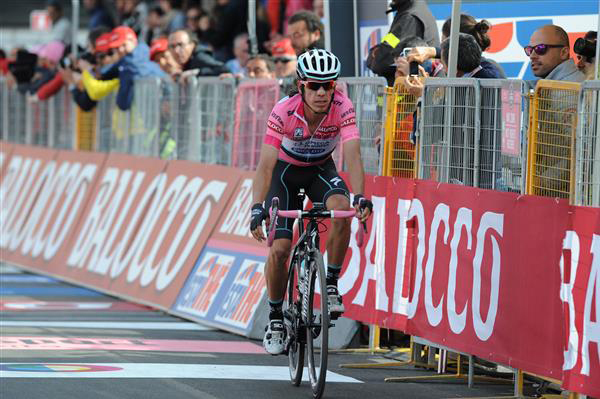 Rigoberto Uran and Pierre Rolland attack and then Evans counter-attacks. The leaders re-group. Rolland goes and this time gets a gap and bridges to Deignan and then drops the Irishman. Three km to go: Fabio Aru lights the jets and takes Uran, Evans struggles and can't catch Uran's wheel. 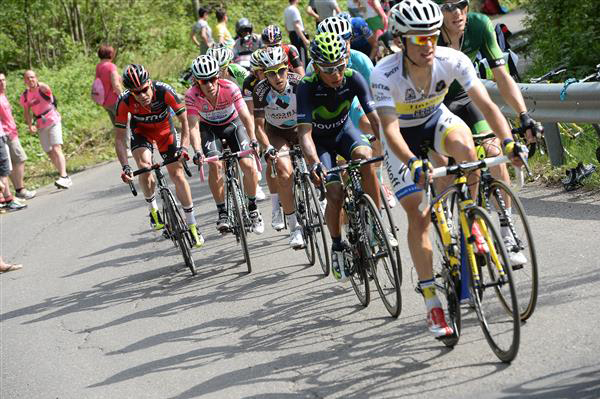 Two km, Aru drops everyone and presses on, chased by Quintana, Rolland and Fabio Duarte. And then Uran. Evans falls further back. Domenico Pozzovivo seems to have nothing today. 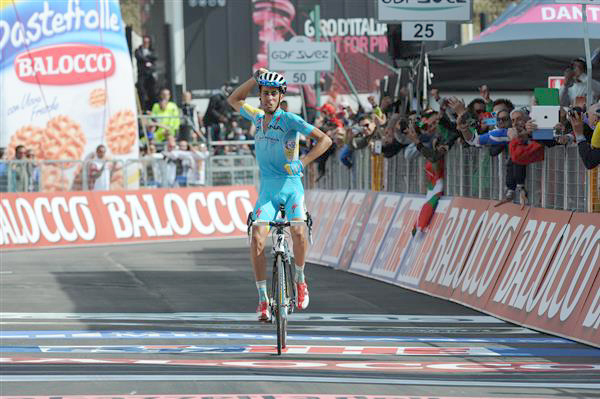 Fabio Aru holds everyone off to win the stage. White Jersey Rafal Majka leads the big dogs up the Montecampione ascent. For a while it looked like Phillip Deinan was headed for a stage win. 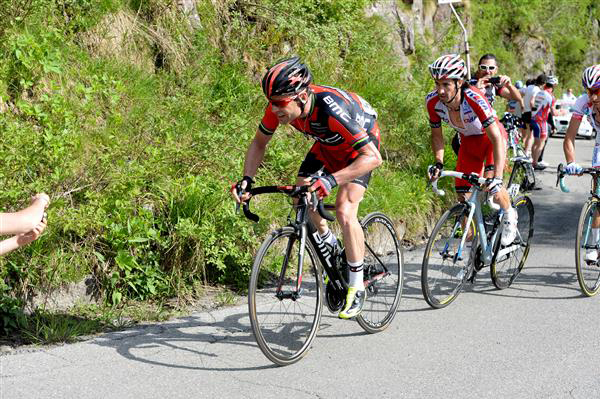 Cadel Evans lost time today. 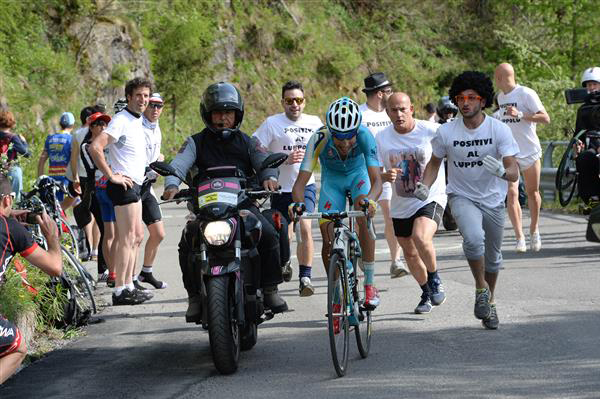 Fabio Aru heads for the finish. 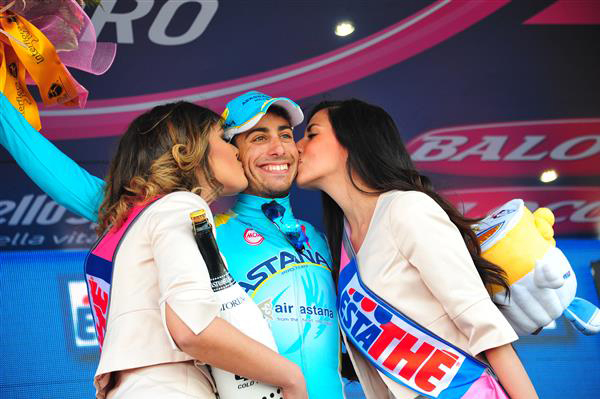 Fabio Aru delivered the goods today. 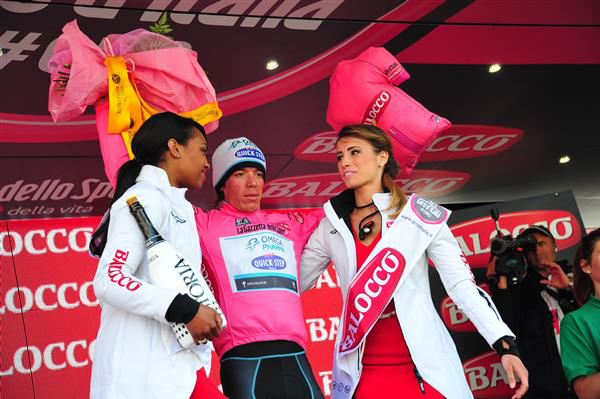 Rigoberto Uran extended his lead over Evans today.